Super cute! 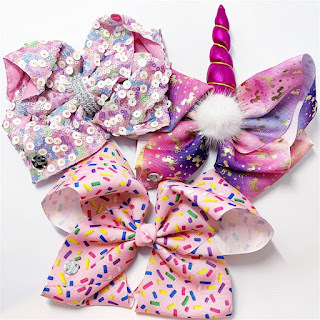 Check out these Designer Inspired XL Bows $3.49 (Retail $8.99). These designer inspired bows are the trendiest bows for any girl! These XL bows are high-quality for a fraction of the price. These bows come in 2 different sizes (6" and 8") and over 80 styles! Styles include over 80 patterned grosgrain styles. $2.99 for the first item and free for each additional item. US only. Seller usually ships within 6 business days. Ships no later than Wed, Jan 30.